Sophie, a twenty-something Jim Morrison groupie gliding through a golden existence in L.A., and Lola, a German immigrant who has settled in Hollywood, know that while Los Angeles is constantly changing, it is essentially eternal. The two women dazzle - one with the promises of youth, the other with the fulfilment of nostalgia - as they wend their way through the pink sunsets and the palm trees of Los Angeles. Living out their addictively decadent lives, Sophie and Lola are cult writer Babitz's literary embodiment of the iconic L.A. Woman - more than in part inspired by her own wild and hedonistic youth. 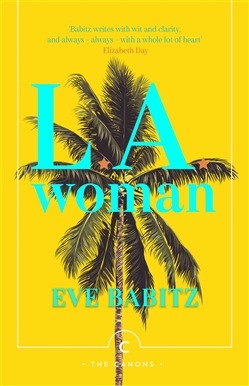 Acquista L.A. Woman in Epub: dopo aver letto l’ebook L.A. Woman di Eve Babitz ti invitiamo a lasciarci una Recensione qui sotto: sarà utile agli utenti che non abbiano ancora letto questo libro e che vogliano avere delle opinioni altrui. L’opinione su di un libro è molto soggettiva e per questo leggere eventuali recensioni negative non ci dovrà frenare dall’acquisto, anzi dovrà spingerci ad acquistare il libro in fretta per poter dire la nostra ed eventualmente smentire quanto commentato da altri, contribuendo ad arricchire più possibile i commenti e dare sempre più spunti di confronto al pubblico online.